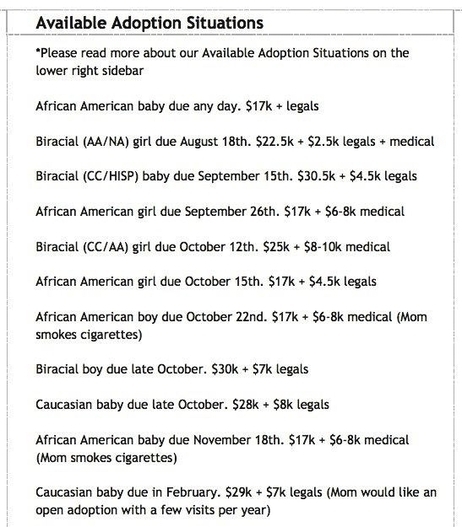 Negrophilic Degenerate Caryn Lantz and her husband Chuck were surprised to learn that costs associated with adopting black children were much lower than for white or mixed race children. They ultimately went with an adoption in which the fee was based on their income, not skin color. Two sayings spring immediately to mind: "Let the buyer beware" and "You get what you pay for".